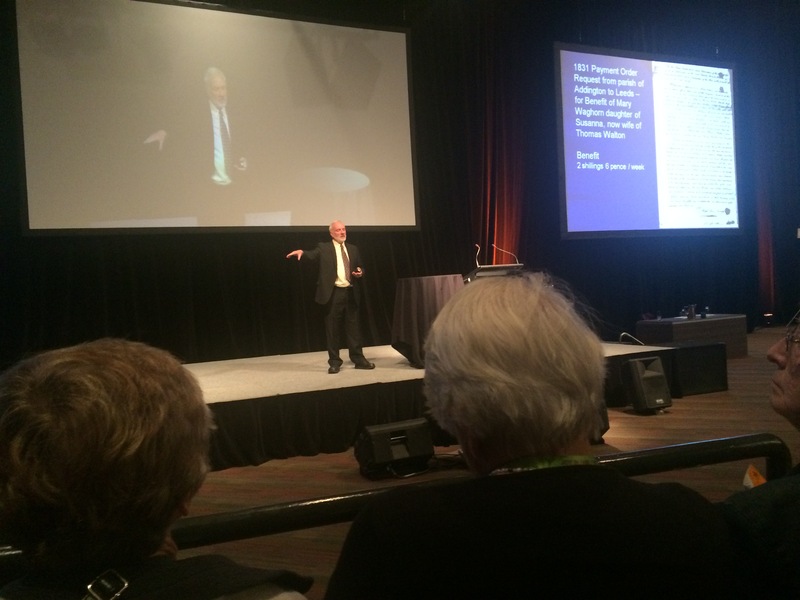 Day one at Congress 2015 saw an opening keynote by Dr. Mathew Trinca from the National Museum. It was a very interesting talk as he used his only family story to narrate his story. He was passionate about how family history intersects with general history and therefore connects us all. He spoke about defining moments in our history that the museum was showcasing. One exhibit is the trousseau of Murial McPhee who lost her fiancee in WWI and never married, carrying the memory of him to her death. The psychological trauma of war did not only affect those who experienced war first hand but also those left at home. He also talked about the Conniston massacre and about the 75th year anniversary reconciliation that occurred. He finished with the romantic notion people have when they embark on their family history compared to what the reality may often be. Some of the presenters I chose to see did not provide as an advanced lecture as I had hoped but most were inspirational and interesting to listen to. Although I was aware of the treasures hidden in the parish chests Paul Milner’s talk was entertaining and interesting. I’ll try and see his other talks. Roger Kershaw’s keynote on emigration records at the national archives was also interesting, bringing to mind resources that are sometimes overlooked. Carol Baxter gave an entertaining talk on the value of evidence. Finally I sat in on David Holman’s talk on military medals which was also very entertaining. I liked that he ‘didn’t insult our intelligence’ by reading what was on the screen in front of us. He has a real passion for the military. All in all a good day. I would have preferred some more advanced talks but there are still three days to go!